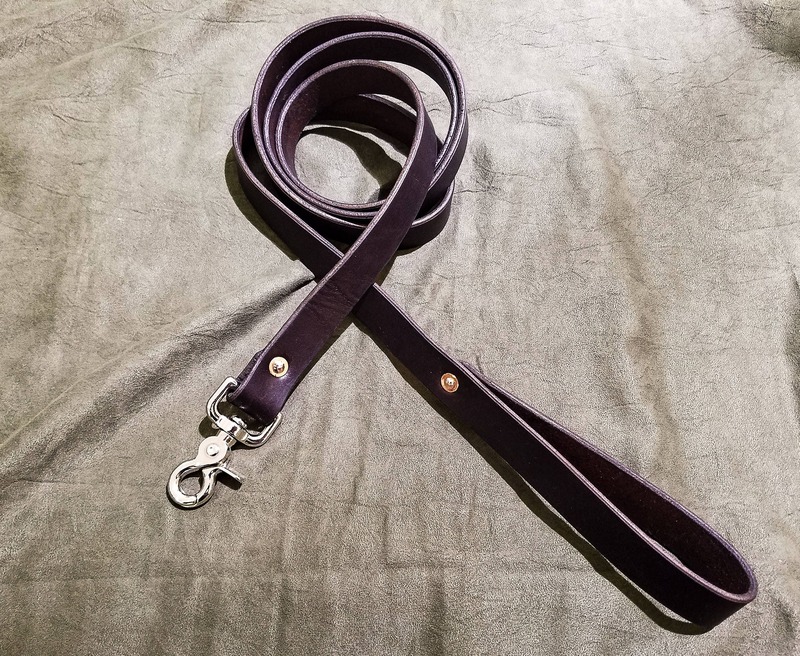 This listing is for a handmade leather leash. The leash is made of thick (8-10 oz) latigo cowhide (if the "Natural" color is chosen, the leash will be made out of Vegetable tanned cowhide), and is features a solid nickel plated brass snap-hook that is solid copper riveted in place to make it an extremely strong leash suitable for dogs or other animals of all sizes. You have 2 options for clips. 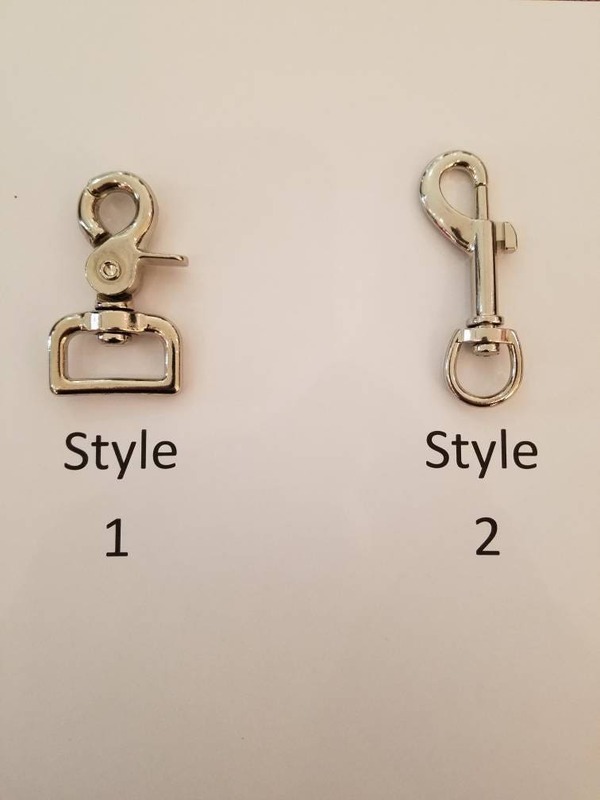 Style 1 is a round "claw" opening swivel clip, Style 2 is a more classic hook shaped clip, as shown in the last photo. 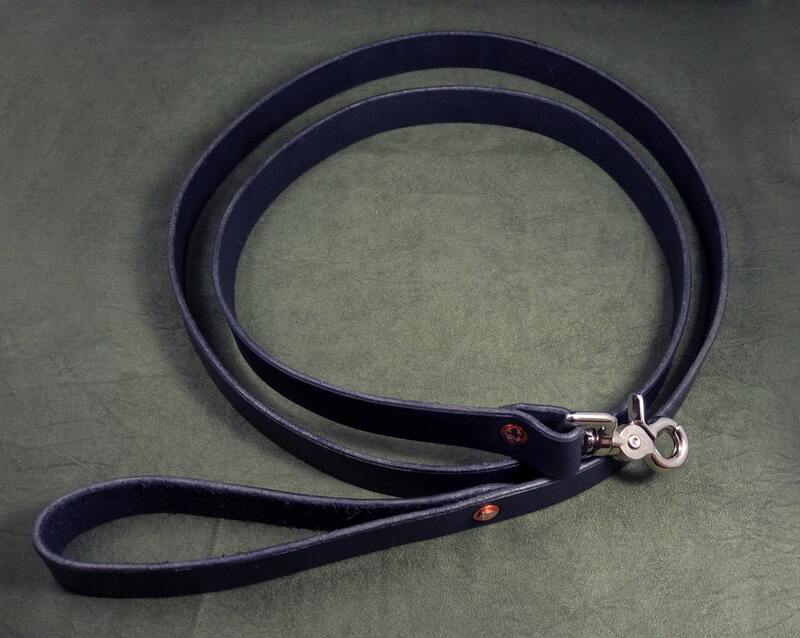 Each leash is 1" wide, and can be made either 4' or 6' long. If you'd like one that's thinner, longer, or shorter, feel free to message me. As always, customization is available, feel free to message me if you have any questions. For color options other than the ones listed, or for custom color options, please check out the add-on listing. For walking more than one dog at once, check out my multi-dog leash listing.